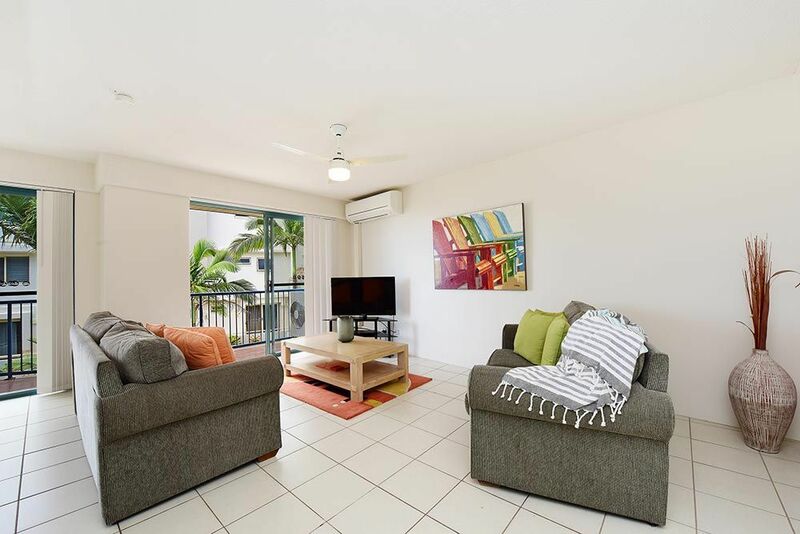 Rejuvenate yourself in this beachside retreat that welcomes you to it’s bright and breezy living space with the warmth of comfortable lounges and gorgeous, decorative paintings. 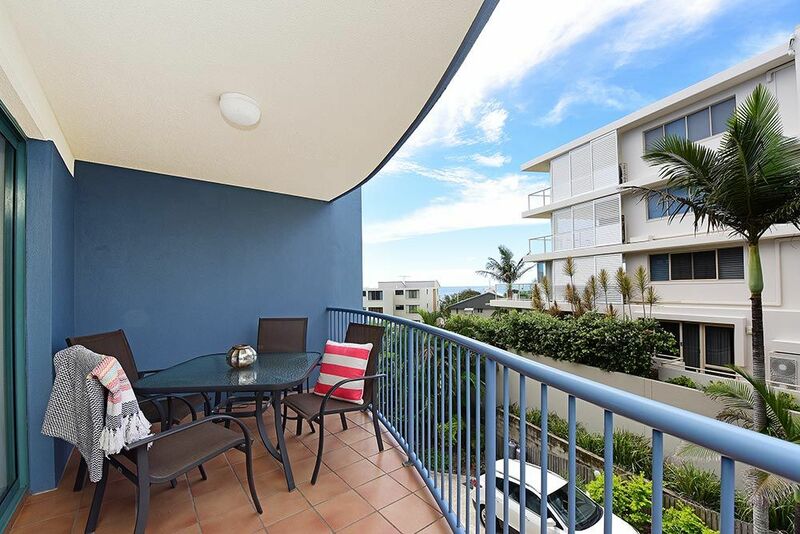 This 2 bedroom, air conditioned apartment is located on level 2 and can accommodate up to 4 guests for a beachside holiday. Partial sea views can be enjoyed from both the living area and furnished balcony where you can enjoy meals and drinks in outdoor comfort. 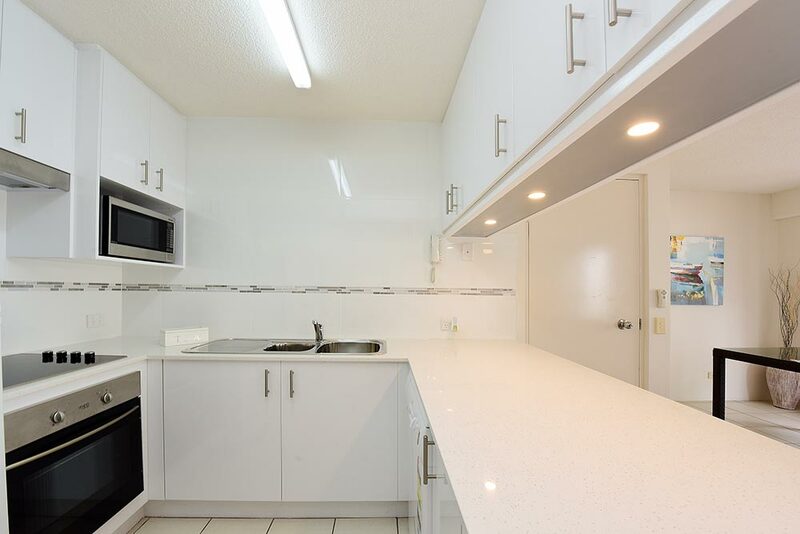 The beautifully renovated and fully equipped kitchen with dishwasher, oven, microwave, stovetop and large capacity fridge has all kitchen appliances and utensils for all meal preparation and entertaining. Roomy sofas and a 32” flat screen television complete the living space for absolute relaxation. 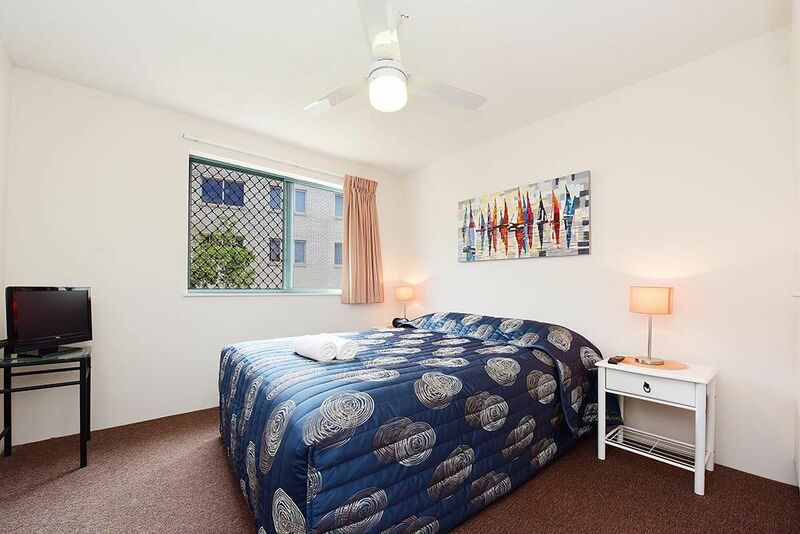 The main bedroom with En suite is furnished with a Queen ensemble, flat screen television and built in wardrobes with ceiling fan for comfort. Twin single ensembles in the second bedroom, with remote ceiling fan and built in cupboards, accommodates 2 guests. 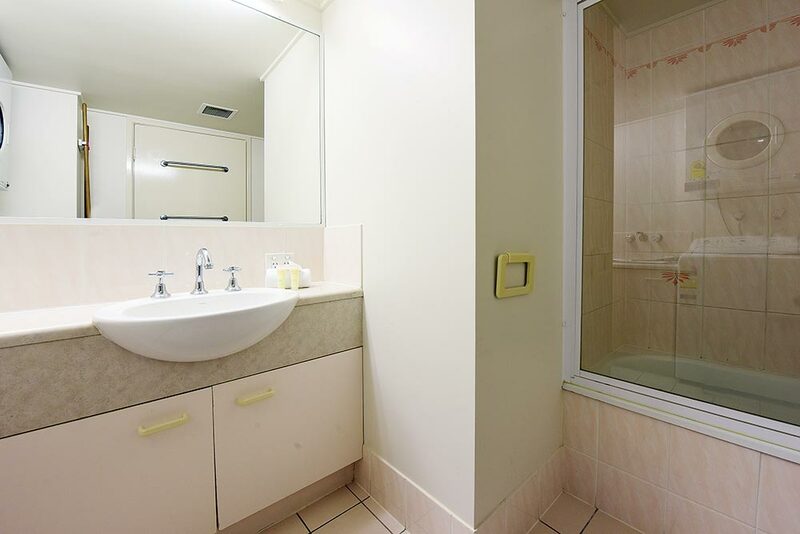 Full laundry facilities including washing machine, tumble dryer and laundry tub can be found in the main bathroom which has a shower and bath combination. 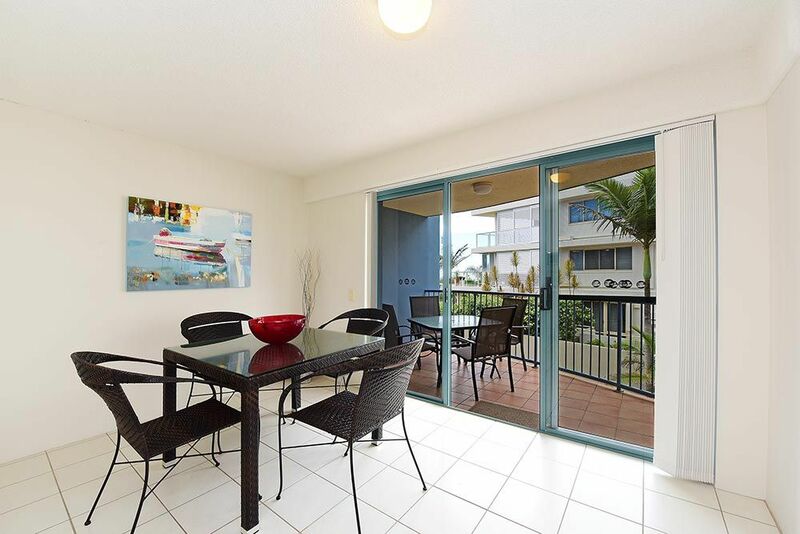 This neat little apartment has it’s own secure lock up garage for off street parking which is accessed from the upper entry driveway.